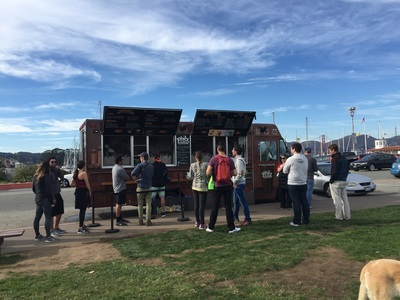 Description: This place has some of the best coffee you've ever had and is a staple in the Marina Green on weekends. They have specialty mixes and everyone raves about the Mint Mojito Iced Coffee. 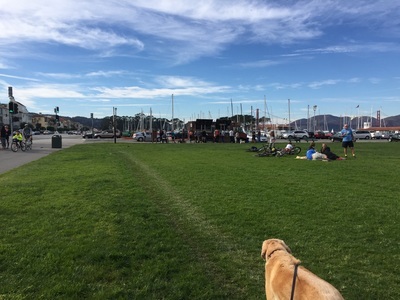 Although the truck does not have a seating area, you and your dog can take a seat on the grass or stroll down to Crissy Field while you enjoy your coffee.